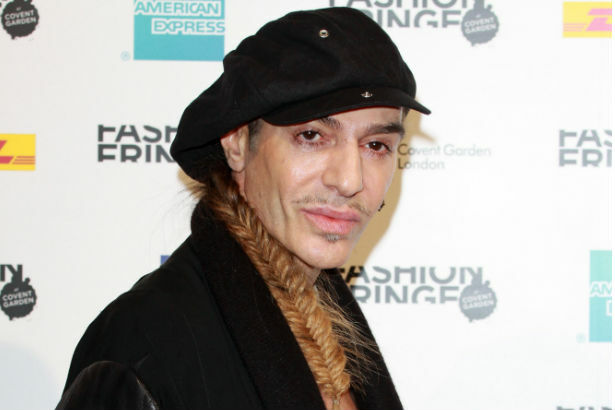 Is John Galliano Presenting at the British Fashion Awards? John Galliano has kept a pretty low profile in the years following “I love Hitler”-gate. Save for a few interviews and new job appointments, the designer has mostly stayed away from the usual fashion functions. That is, maybe, until now. Word on the street is that Galliano may make an appearance at the upcoming British Fashion Awards, and that he may be presenting Anna Wintour with the coveted Outstanding Achievement Award. She’s never been to Portugal. Her favourite inspirational quote is: “Nature does not hurry, yet everything is accomplished” – Lao Tzu. As long as she’s near the ocean, she’s happy. She can’t live without tweezers, a nail file or avocados. Her favourite family tradition is singing carols by the piano on Christmas Eve. She created KORA Organics because of the toxic chemicals she found in other skincare products. Her fave treats include triple-cream goats cheese, french fries and organic chocolate. Being a mother to Flynn is her greatest achievement in life. She’s currently reading A Bug Free Mind by Andy Shaw. She posts workouts and recipes to her blog. Her favourite movie is Luc Besson’s The Big Blue. She has an interest in politics. Christmas is her favourite time of year. “Now is all we have” is the best advice she’s ever gotten. Kate Peck, Mimi Elashiry and Geordie Shore’s Vicky Pattison hit Sydney’s Chicwick restaurant yesterday for the launch of MTV Australia Style, turning up in a mix of kooky twin sets, glittery separates and monochromatic prints. Vicky rocked a 50s housewife vibe in a houndstooth midi skirt teamed with a high-neck crop from her VIP collection for Honey Boutique, and looked a little rockabilly with red lips and matching pointed-toe heels. MTV VJ Kate was pulling double duty as Myer ambassador, attending the event in a sparkly ensemble by one of the department store’s designers, Jayson Brunsdon. The icy blonde rocked a brown button-up blouse with gold-sequinned panels, tucked into a shiny pink tube skirt and toned down with black two-strap pumps. “Watch out world!! I’m going to blind you with my #discostyle,” she wrote of the outfit to Instagram. Hey, at least she warned us. Pint-sized Mimi, who was announced as the website’s new style ambassador (probably due to her 510,000 Instagram followers), wore an epic outfit by Di$count Univer$e. Even with the other girls towering over her, Mimi still stood out in the rainbow-coloured getup adorned with belt buckles. Montana Cox is no stranger to the spotlight, but is pretty nervous about hosting tonight’s ARIA Awards red carpet alongside music reporter Scott Tweedie. “Hosting is a totally different ballgame,” the 21-year-old model told The Daily Telegraph. “Being in front of the camera having your photo taken is completely different to talking to these artists,” she explained. “I’m nervously excited.” But the 21-year-old winner of Australia’s Next Top Model Cycle 7 has been doing “a bit of research” ahead of her hosting gig, which will hopefully impress the international acts like Katy Perry and One Direction. Montana admitted she’s particularly excited about meeting boy-band heart-throb Harry Styles, saying, “Of course I think he’s cute.” If she’s as good on the red carpet as she is on the catwalk, Harry could easily take a liking to her too. It’s here, guys! The Pan film is due to hit theaters next summer and today, the movie posters and the trailer hit the web. And yes, it looks awesome. But we can’t help but admit that what we’re most excited for is to see Cara Delevingne flex her acting muscles on the big screen. The model has been steadily racking up the acting credits and for this film, she’s been cast as a mermaid – which, now that we think of it, is the same role a certain other model-turned-actress played in a different pirate-focused movie. Delevingne doesn’t have a huge part in the trailer, but she does make a quick appearance, swimming through the water, looking absolutely ethereal and gorgeous as a fair sea maiden. Watch the whole trailer above and get excited for the film, which is due to hit theaters this July. Frame Denim just launched its resort collection and to celebrate, the brand tapped Australian actress Phoebe Tonkin (who you may recognize from The Originals and The Vampire Diaries) to star in a three-part short series titled Girls in Frame. The shorts are inspired by Andy Warhol’s screen tests, which were black and white film portraits of various hip members of the late artist’s scene back in the mid-60s. Frame Denim’s play on the classic involves a little more sound (Warhol’s tests were silent) and a lot more attitude.